Collaboration is essential to your school board to create the best possible learning community for your stakeholders. Board members, administrators, teachers, and parents need to work together to move a district forward. In addition to being collaborative, your board also needs to be strategic in how it approaches the challenges and opportunities that face your learning community. So how can your school board be collaborative, and strategic, in a way that ensures the widest variety of input without incurring the time and financial cost associated with strategic planning? It’s a tall order, but it can be accomplished using BoardPaq’s new SWOT (Str​engths, Weaknesses, Opportunities, and Threats) Analysis tool. This groundbreaking new feature makes BoardPaq the first board portal to recognize that strategic planning is one of the most important functions of any board, and to create a tool that makes conducting a collaborative SWOT analysis easy, fast, and cost effective. The SWOT Analysis tool guides your board members and leadership teams through the process of identifying strengths, weaknesses, opportunities, and threats within your business, team, project, or initiative. The process continues as the team collaborates on the items in each SWOT category and refines the submissions to identify key items that could be acted upon. Finally, the tool provides a mechanism for each team member to weigh in on the items to create a final summary of the SWOT submissions as weighed by the whole team. 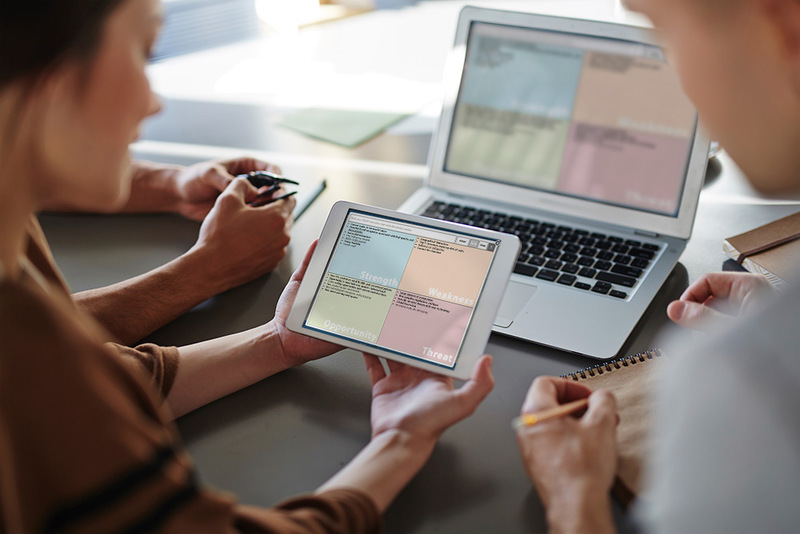 Using BoardPaq’s SWOT analysis tool, your school board can gather stakeholder input that will form the foundation of your next strategic plan. Your school board can also use the SWOT Analysis tool to analyze specific agenda items, which allows you to bring strategy and planning to every board meeting. Sign up for a demo today, and be one of the growing number of school districts that have chosen BoardPaq as their board portal of choice.